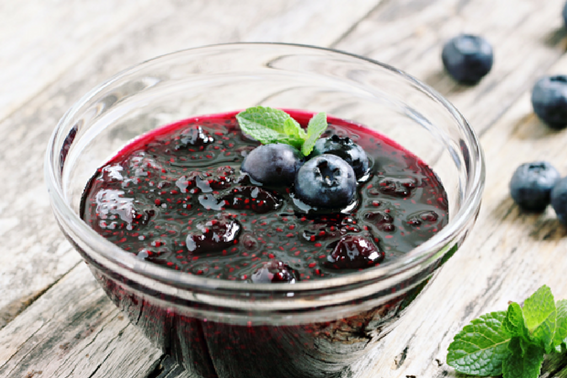 Chia seeds are one of the newest health food fads and for good reason. They’re rich in omega-3 fatty acids, which support brain health, heart function and can play a role in boosting your mood. They also provide a hefty dose of fibre for a healthy gut and are packed with disease-fighting antioxidants. For the vegetarians and vegans amongst us, they’re a great source of plant-based protein too. These nutritional qualities mean they work to keep you feeling fuller for longer and are also anti-inflammatory. At The Biting Truth HQ, we’re big fans of these tiny seeds. That’s why we’ve put together our 7 fav ways to use chia seeds so that you can enjoy their benefits every day of the week in these delicious ways too! IMPORTANT (side note)* – while chia seeds are a great option, they are no ‘silver-bullet’ to good health. 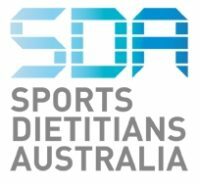 Being healthy comes from having a balanced diet with foods from all 5 food groups and there is no single food or nutrient that does all the work! The classic chia seed recipe. Chia seeds expand and absorb liquid, turning a mixture of chia seeds and milk into a gelatinous creation within minutes. You can use any type of milk as the base and add fruit and spices to mix up the flavours. Our favourite is peanut butter and banana – find our recipe (and 2 delectable variations) here. Boost the nutrition of your regular pancakes by adding a tablespoon of chia seeds to the batter and blend. Thanks to their gooey abilities, they make great substitutes to egg in baking and pancake recipes. Try our scrumptious gluten-free recipe (we’ve got you covered Coeliac friends! ), and taste how chia seeds make these babies deliciously light and fluffy. Add them to smoothies for a great breakfast when the weather is a little warmer. They also make the perfect refreshment on a hot and sunny afternoon. Bump up the protein content of any recipe by adding some chia seeds before you blend! Check out our recipe here. Sprinkle chia seeds on top of salads before serving as a final garnish. They add mood-boosting healthy fats (like avocado and walnuts) and that all-important Instagram-worthy look and crunch factor. Even better, why not take advantage of its gelatinous magic and stir it through a yoghurt dressing for drizzling? For a healthier alternative to sugar-laden store-bought varieties, try our delicious chia seed jam. It’s the perfect nourishing alternative when you feel like something on the sweet side in the morning. 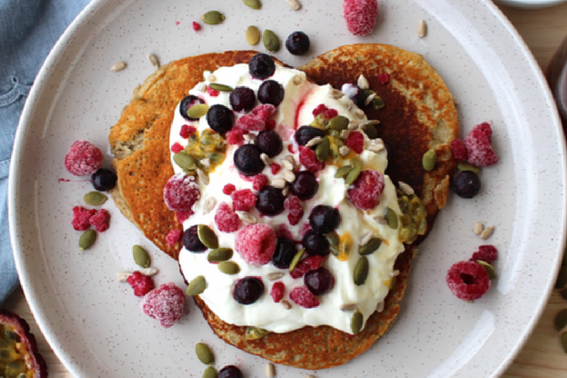 Stir through yoghurt, dollop on your healthy pancakes and spread on a slice of grainy bread for a sweetly satisfying brekkie. Chia seed jam on toast, anyone? Start your day with a (pre-prepared) bang! Our favourite breakfast just got a whole lot more nourishing with the addition of chia seeds. Pair hunger-busting oats with chia and you’ve got a jarful of sustaining energy, protein and fibre. 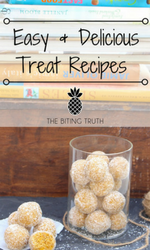 You can check out our recipe here. Our homemade granola is packed with goodness. Adding chia seeds to the medley of oats, nuts and other seeds makes our tasty recipe even more nutritious. Grab our recipe here and see for yourself just how yummy this granola is on top of plain or Greek yoghurt and smoothies. 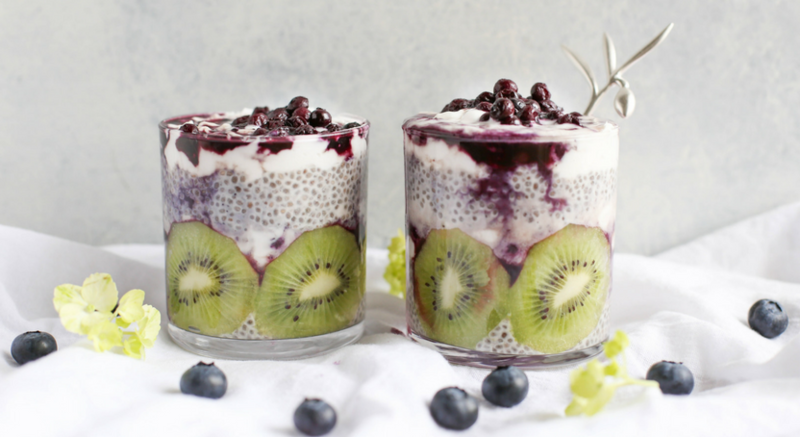 And that’s seven of our favourite ways to eat chia seeds! We’d love to hear how you get creative in the kitchen with this nutritional superstar – be sure to tag us in your creations on Instagram @thebitingtruth.